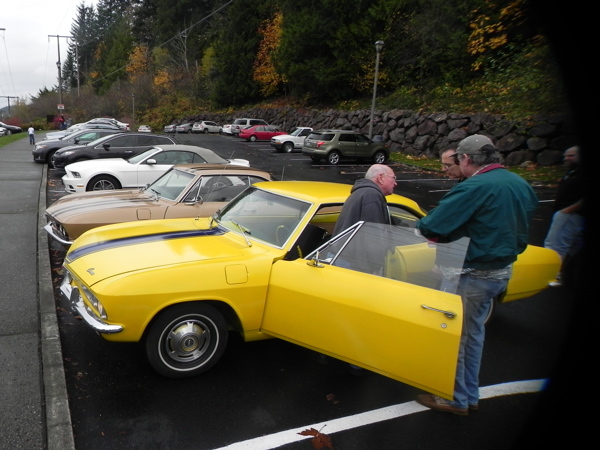 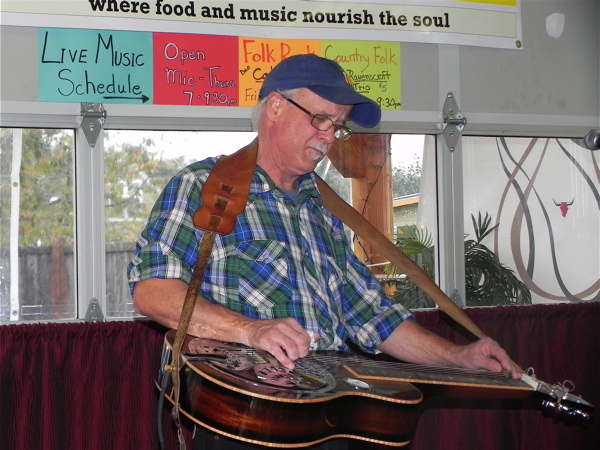 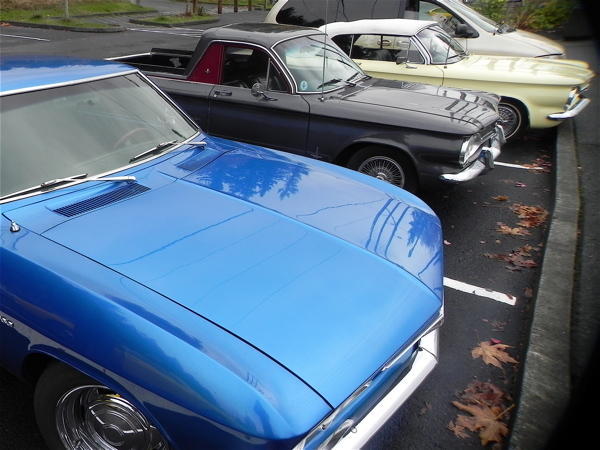 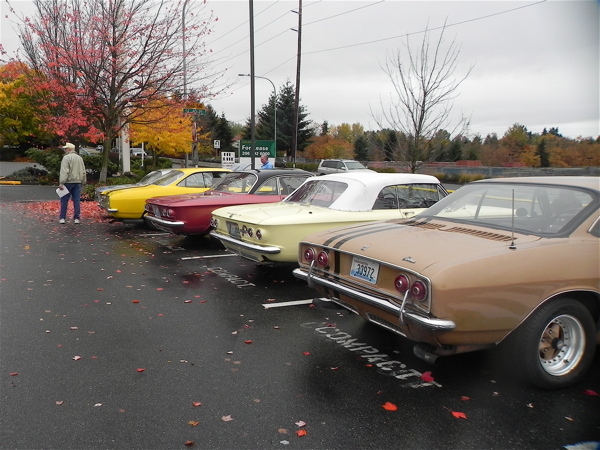 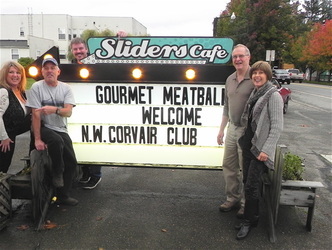 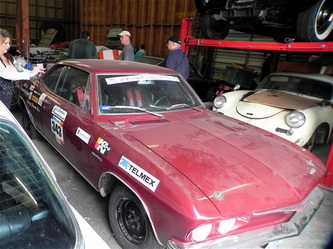 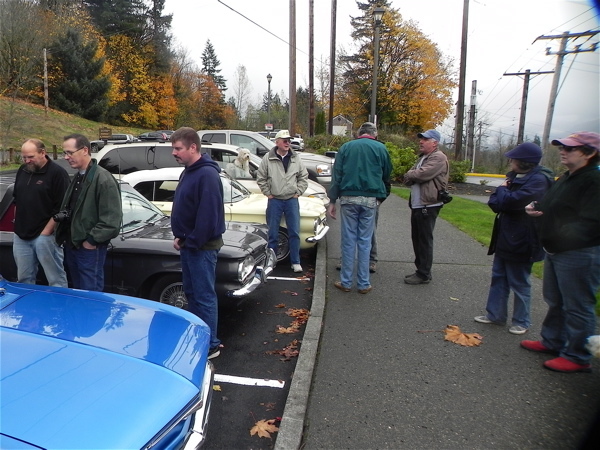 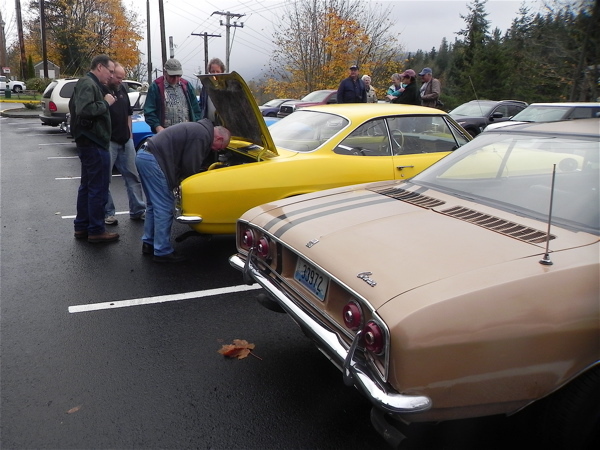 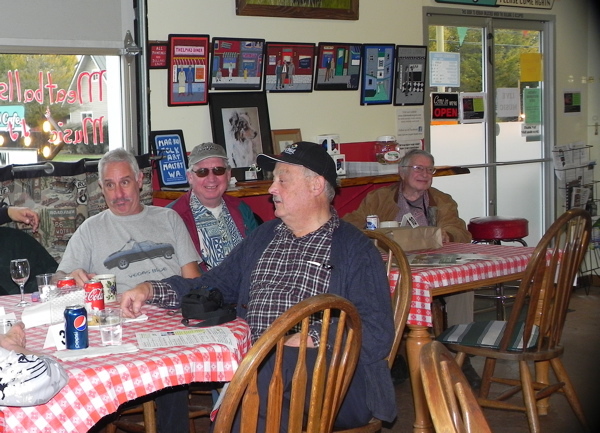 The Corvairs Northwest Fall Cruise was a well planned and executed event for a dozen cars and 21 people. 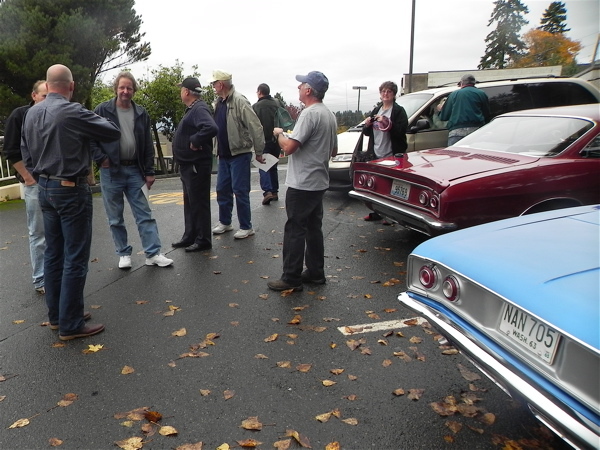 The day started with a gathering of participants in Factoria for instructions on the route and a general idea of what to expect. 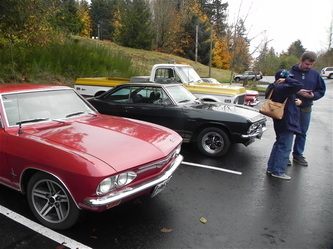 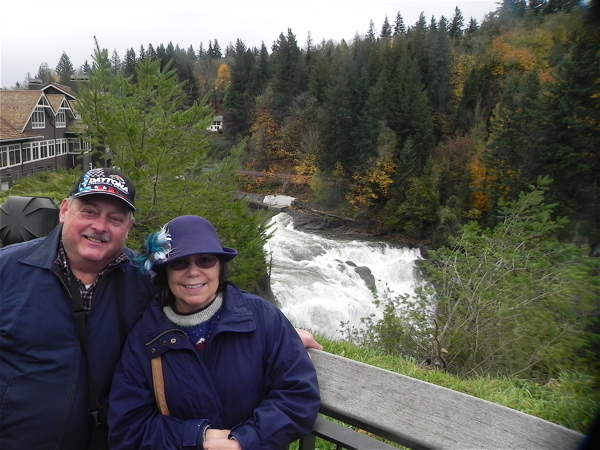 The cruise went up to Kirkland, through Redmond, Fall City, Snoqualmie Falls, and finally to Carnation. This was a great drive, with beautiful scenery, as the gold colors of maple leaves were everywhere. 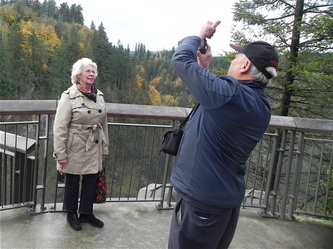 The backdrop was the lush green of evergreens, and the foreground of large maple trees on every hillside of the valleys we drove. 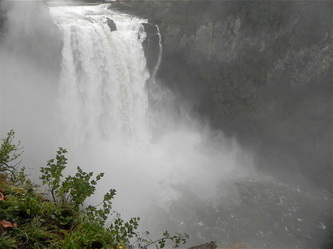 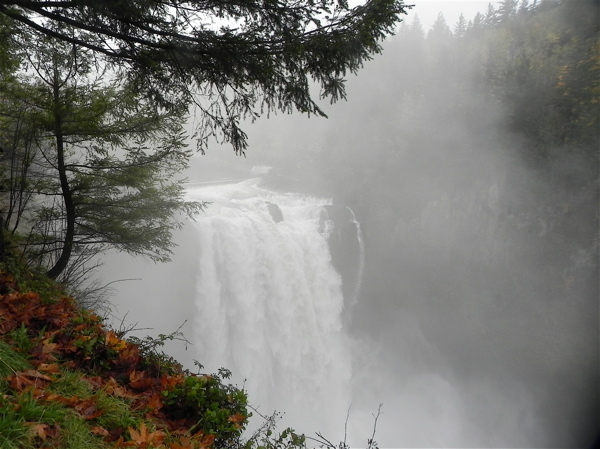 The Falls were boiling over with tumbling white water, and it created a mist spray that looked like smoke as it rose from the bottom river bed. 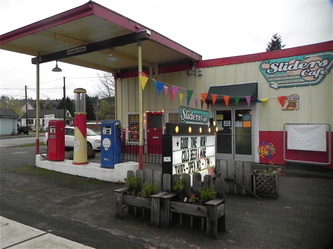 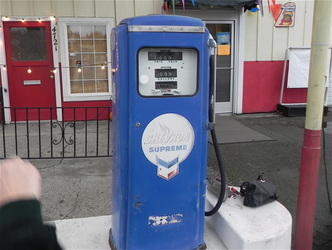 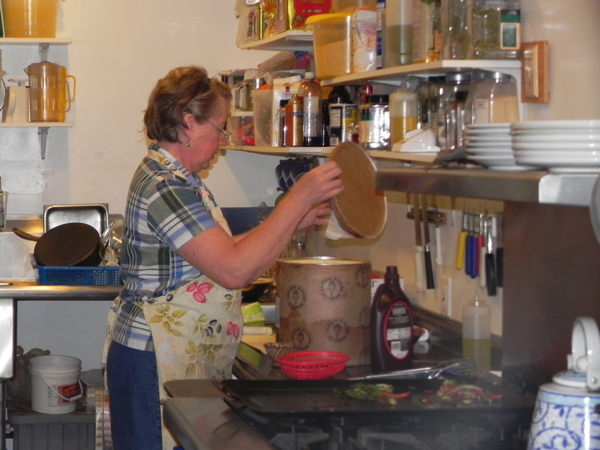 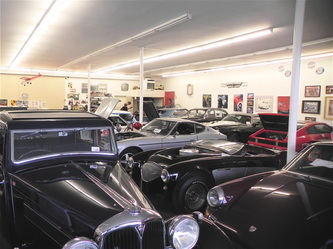 The surprise stop in Carnation was at a dealer that specializes in buying classic and exotic cars to restore. The show room was jammed with a wide variety of vehicles from a Mini and Morris Minor, to a '29 Stutz Blackhawk.